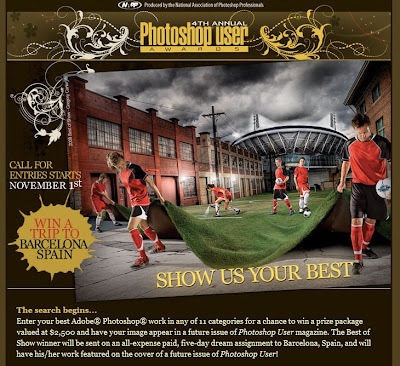 Check out the Photoshop User Awards. Deadline for entries is December 31st. Their photo on the homepage has inspired me. I think I will use my new Nebraska photography and produce some imagery. Free desktop wallpapers perhaps? ?